"Blogging from Home" was written for easy reading and designed for the typical Internet user who wants to learn about blogging and its various use for business or personal intent. 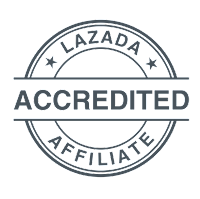 I launched this book last August 2008 in response to the growing number of Internet users who are expected to become full-fledge bloggers using various blogging platforms and social networks. As the book is expected to go out of print soon, I hope this page will provide a venue for exploration to anyone who wants to learn blogging at their own pace. Complementary illustrated photos, demonstration videos, podcast, and explanatory text can also be found at the Blogging from Home Online Workshop. I also created a video series to support this book. thanks so much! and more power! Hi Karen. I will post the price on Monday night. Thanks! I am based in Cebu, and I am quite amazed there is such thing like this one....though Manila's quite near, but so far...what are my options in Cebu in this light? Hello Donna. You can purchase online or make a direct deposit. Just send me an e-mail and advise which would you prefer. Thank you! Just click on the buy now link to purchase through credit card or paypal. i want to buy this, Miss Janette! I'm a fan of yours. He he. Can this be bought in National Bookstore? Hello Zang. It will be available soon. I'm just finalizing a deal with a distributor. I also encourage you to purchase it online. Long time no hear. Been trying to reach you by the cellphone number you provide in your site without success. You see I have a handful of veteran PR execs who are dying to meet you and get their hands on blogging 101 tools. Are you available on Friday, Aug 29 for a brief tutorial? Pls revert. This is definitely a must have for newbie bloggers. Keep up the good work Janette! The webinar last night was very informative. Thanks to you. i'm based here in Quezon City, very much interested in your book, can you tell me where I can buy it here in Metro Manila?? Hi Janette..I'm one your students during the 4th Philippine Navy Public Affairs Officer Synposium and Workshop..Thanks for the insights, ang dami naming natutunan...Also,thank you sa book. Heyyy, hello Janet, I'm henry and found your ad on facebook. Actually I'm also a blogger and have started just recently, but it took more than a year for me to understand what to do with blogs. And I also believe that the minds and talents of Filipino's are meant to use Blogs. Sadly there are lots of good Pinoy bloggers that just keep the minds of their fellow Pinoys closed to what really can blogs do. :) How you use it, How it can work well in harmony with the Search Engines, and Especially how it can make you Big Money when the time is right. 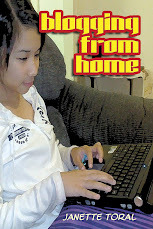 I've created Pinoy Blog Chat to be something like this Blogging from Home. My posts are exact examples on how to use blogs. Not exact tutorials but the way you use words and information that you should publish. :D Wish all the success to your program. Take Care. Mind to have link exchanges anyway? This is amazing,Thank you Ma'am Janet for creating a blog that will attract and explain more about the importance and usefulness of blogs. Hello! Can I ask if I can read your book ONLINE? I need some reference about blogging po kasi for our research paper. @littlemisspoleng - it is embedded in the blog post. you can also read it at slideshare.net/janettetoral documents section. It's a good sight seeing Filipinos blogging as most of the information they provide are self written and concise. I would love to read more stuff from you Janette. Blogging from Home was written for easy reading and designed for the typical Internet user who wants to learn about blogging and its various use for business or personal intent. The Blogging from Home Online Workshop is now online. You are encouraged to sign-up and learn more. Check out the photo gallery of Blogging from Home book buyers / owners. Hope you can join our Facebook page too. Copyright Janette Toral all rights reserved. Simple theme. Powered by Blogger.